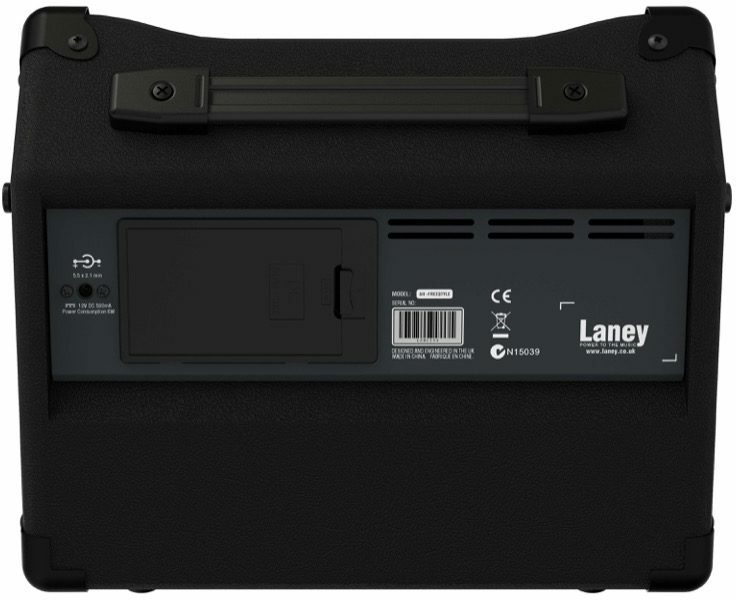 The Laney AH-FREESTYLE - plug anything in, take it anywhere! 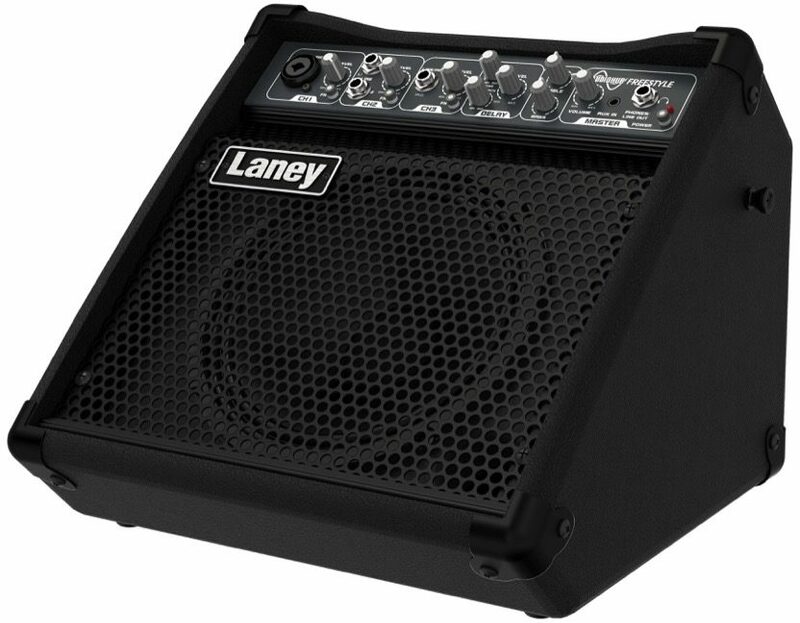 An all-In-one, multi-input mains or battery powered portable combo. The principle behind the Audiohub range is simple: ALL INSTRUMENTS WELCOME! Audiohub combos deliver optimum performance, flexibility and sound quality for a wide array of audio inputs: Keyboards, e-drums, mics, acoustic and electric instruments and playback are all at home with an Audiohub combo. 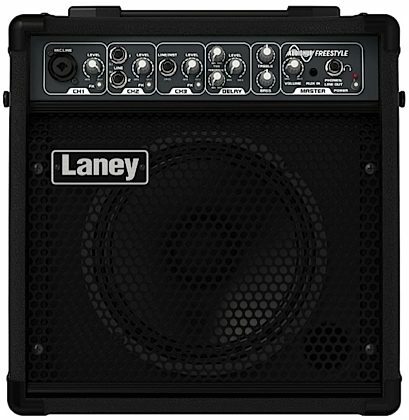 The AH FREESTYLE is the all-in-one solution for your multi-instrument amplification needs on the move: Plug and mix any instruments. Great for the street, for rehearsal studios, for teaching rooms, for practice, for intimate performances, anywhere you want! Battery powered for total freedom. The AH-FREESTYLE can be run from a wall-mounted mains adaptor (included) or from AA batteries in the rear compartment. Sling it over your shoulder with its guitar strap carry handle. It is equipped with on-board digital delay with Time and Feedback controls and an FX send switch on each channel to assign as needed. Light and compact but not lacking in features, the AH-FREESTYLE is equipped with multiple input options including XLR Mic/line inputs, jack inputs and a stereo mini jack input. Driving an 8" custom driver, the AH-FREESTYLE gives you the level to make your performance be heard.